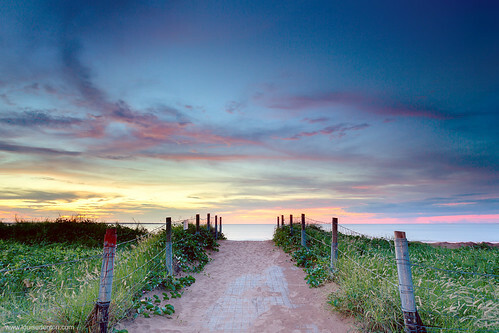 If you are coming to Darwin on holiday, you should try to make it to Mindil Beach Sunset Markets! Mindil markets is held through the dry season (end of April until last week in October), every Thursday and Sunday evening. The markets are an awesome location to browse local handmade craft and to grab Darwin souvenirs. 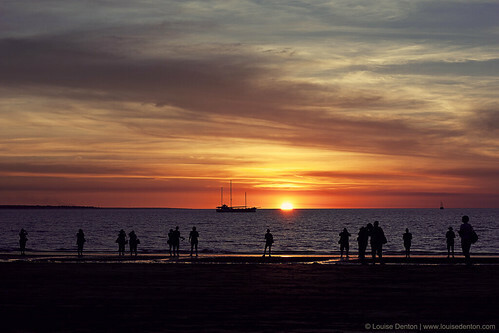 Mindil Beach is the place in Darwin to watch the sunset, and there is no better way to do it than to relax with a delicious dinner in hand from one of the many food stalls! From Thai to crocodile, there are so many culinary options you'll be wishing you could visit every week! And most importantly, my Louise Denton Photography stall is there! Bring an esky with your favourite beer or wine, bring a blanket or chairs to sit on and watch the evening go by! Photography tips for Mindil Beach? The tides in Darwin are quite big.... Mindil is best between a 4.5m and 6m tide. Anything higher will leave you with no beach! An outgoing tide is great for leaving wet sand: there are some good reflections photos to be had here! Wet season leaves some great driftwood!